New Eagles cornerback Daryl Worley was arrested in Philadelphia at around 6am this morning, per Ian Rapoport of NFL.com (via Twitter). As Rapoport notes in a separate tweet, Worley was passed out inside a vehicle that was blocking a highway. When police arrived, Worley became combative with them and was ultimately tasered. A gun was recovered at the scene. 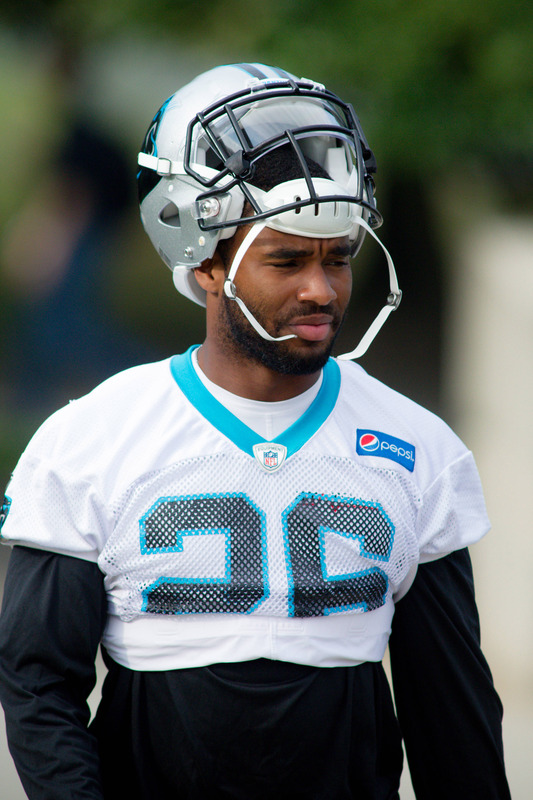 Philadelphia acquired Worley earlier this offseason in a trade that sent wide receiver Torrey Smith to the Panthers. Smith, who was far from productive in his first and only season with the Eagles, had a $5MM option that Philadelphia was widely expected to decline, which would have made him a free agent. However, they managed to swing a trade for him, and Jeff McLane of the Philadelphia Inquirer tweets that Worley’s track record of bad behavior is what allowed them to do so. Indeed, Worley pleaded no contest to misdemeanor assault while in college, and McLane says that the West Virginia product had a “rep” in Carolina as well. Last season, Worley’s second in the league, he appeared in 15 games for the Panthers and started all but one of those contests. He tallied 63 tackles, one sack, and ten passes defensed. He also started Carolina’s lone playoff game last season, registering six tackles and a pass defensed in the team’s loss to the Saints in the wild card round. The advanced metrics did not love his work, though; he graded out as Pro Football Focus’ No. 89 ranked cornerback last season. The team is aware of the arrest and noted that it is still in the process of gathering information (Twitter link). Les Bowen of the Philadelphia Inquirer tweets it is likely, though not certain, that Philadelphia will release Worley, and that discussions are still ongoing. Bowen adds in a separate tweet that Worley’s arrest makes it much less likely that the team trades fellow corner Ronald Darby prior to the draft, which was looking like a real possibility. The Panthers selected Worley in the third round of the 2016 draft. He grew up in the Philadelphia area, and per McLane (via Twitter), he was specifically asked at his introductory news conference if playing in his hometown would create unnecessary distractions. The Eagles, at least, certainly have a distraction on their hands to go along with the Michael Bennett drama. Imagine that he had a gun! Though most who support the BLM movement will demand an investigation into police misconduct for planting this gun on scene we all know the real truth. And you obviously dondkno nuffin but that same stupid comment that got old loooonnnnggg ago. So… doesn’t look like the Panthers got hosed now does it? Although this story sounds vaguely familiar minus the asleep in the car, Agholor? That was Josh huff not agholor. I was going to reply with that too, but the app wasn’t refreshing my comment. Now the lawyers will be in court debating whether blocking highway access to Philly is a crime or public service. I thought he was also a country singer?